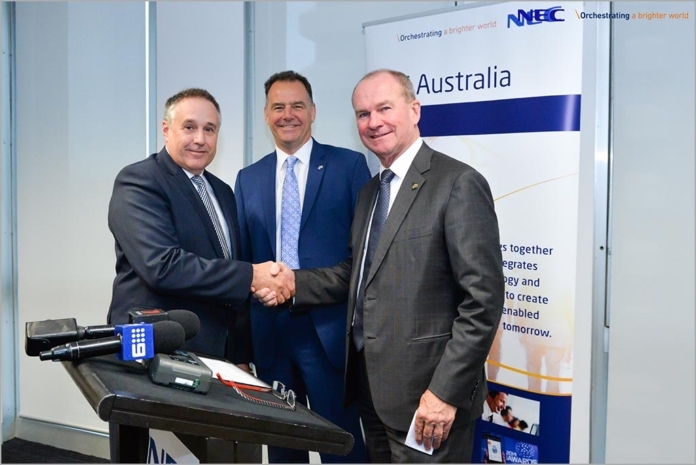 news NEC has announced that it will establish a $4.38 million cybersecurity centre in Adelaide to address growing demand for online security. A joint enterprise between NEC Corporation and NEC Australia, the Global Security Intel Centre (GSIC) is planned to ensure that cybersecurity enables the adoption of “new, more efficient business models that translate into new opportunities”, the firms said in a statement. Cyberattacks against both business and governmental IT systems can bring millions of dollars in recovery costs, the statement said. Further, these costs have the potential to climb alongside the widespread adoption of smart technologies and connected devices that will comprise the Internet of Things. The new Adelaide centre is designed to respond to these challenges, and will tie into NEC Australia’s recently announced Memorandum of Understanding (MoU) with the University of Adelaide’s ‘Smart City’ initiative. The MoU set out how the two organisations will “collaborate closely” on research and development. According to the statement, the South Australian government has welcomed NEC Australia’s $4.38 million investment as a “major boost” to the state’s ICT and cybersecurity capabilities. Additionally, GSIC will create 50 new “high-value” jobs in South Australia over the next five years, NEC Australia said, adding that it will make the state a “more attractive destination” for ICT skills. “NEC’s investment will help South Australia achieve global prominence in the cyber security field, and complement the Smart City initiatives already underway in Adelaide,” said Martin Hamilton-Smith, the state’s Minister for Investment and Trade. “Cyber security is a rapidly growing sector, and is attracting increasing attention and investment. Governments and businesses alike need innovative products and services to protect them from increasingly sophisticated threats to privacy and security,” Hamilton-Smith said. NEC’s creation of specialised jobs will be “transformational” for the local economy, he went on, adding that Adelaide has become a “destination of choice” for companies in the technology and creative industries space. “We offer a vast talent pool through the three local universities and a competitive business environment that ensures tech companies can grow and thrive in South Australia,” he said. NEC said that combatting cyberattacks requires a “global perspective”, so GSIC will be set up to complement the group’s investments in “cybersecurity-focused facilities” located around the globe, including Japan and Singapore. “We see the cyber security demand in Australia and the Asia Pacific Region as a huge opportunity aligning with the company’s global vision,” Barber concluded. Great news, lovely to see a departure from Melb/Syd SOC’s as well – get to utilise alternative people and skill sets. Though $4-5 million really doesn’t seem like enough to do much with… maybe a few coats of paint and some screens and thats about it..